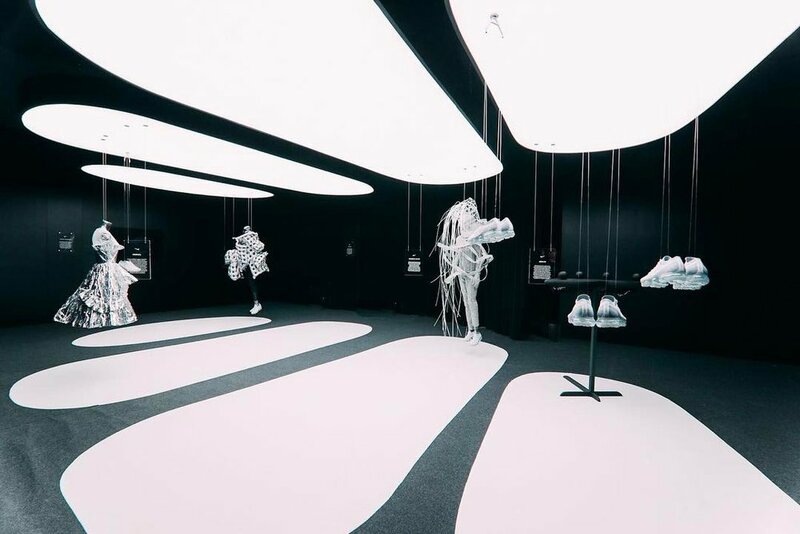 Concluding NikeLab's Vision-AIRS program, a new generation of designers explore the concept of walking on air through a series of Experiments in Style.created unique garments which simultaneously honor the essence of the new Nike Air VaporMax and push new boundaries in construction and material. "The first idea came to life as an ode to all things airborne, with the lightness and flexibility of the Nike Vapormax providing a direct reference. The transparent air cushioning unit that acts as a standalone outsole inspired me to create a flawless outfit that creates harmony between body and environment. 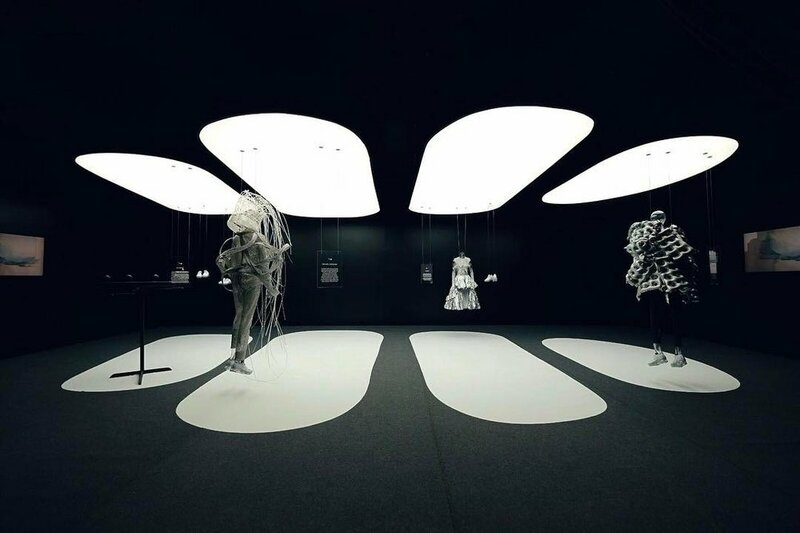 "A sense of movement is evoked using a structural fishbone piece that floats around the body — an idea reinforced with a headpiece that was carefully woven, allowing a variety of shapes presented through emotions to slowly build a picture of texture and motion. 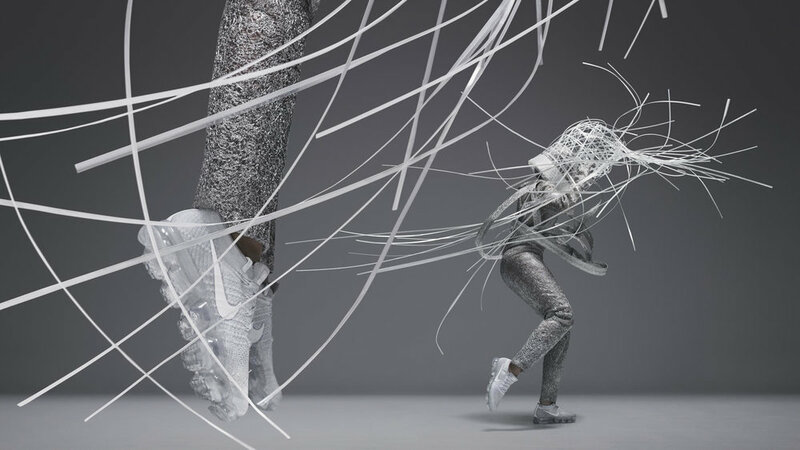 "Flyknit inspired the silver polyurethane textile used to make the full-length bodysuit. The material is moulded around the body seamlessly by heat. Its stretchable features allow the body to move freely and dramatically."